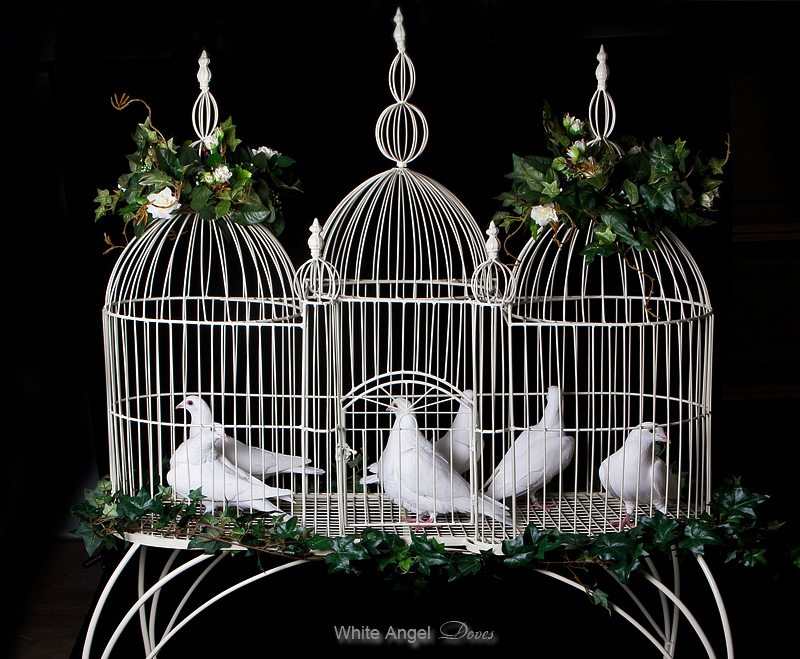 The release of white angel doves at your wedding is truly spectacular and will be remembered by you and your guests for a long time. 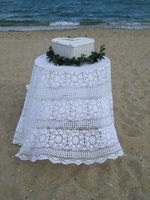 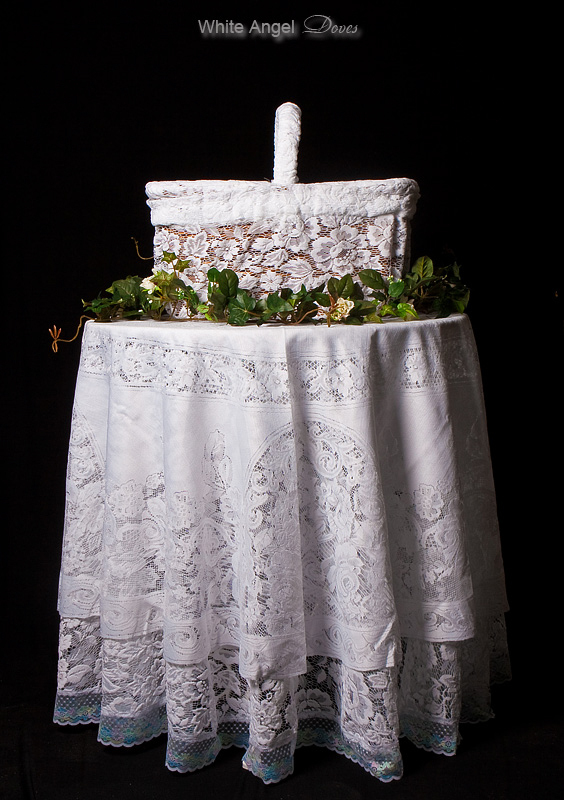 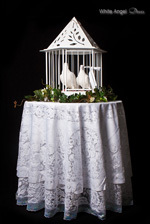 The releasing of white doves will make your wedding unique and memorable. 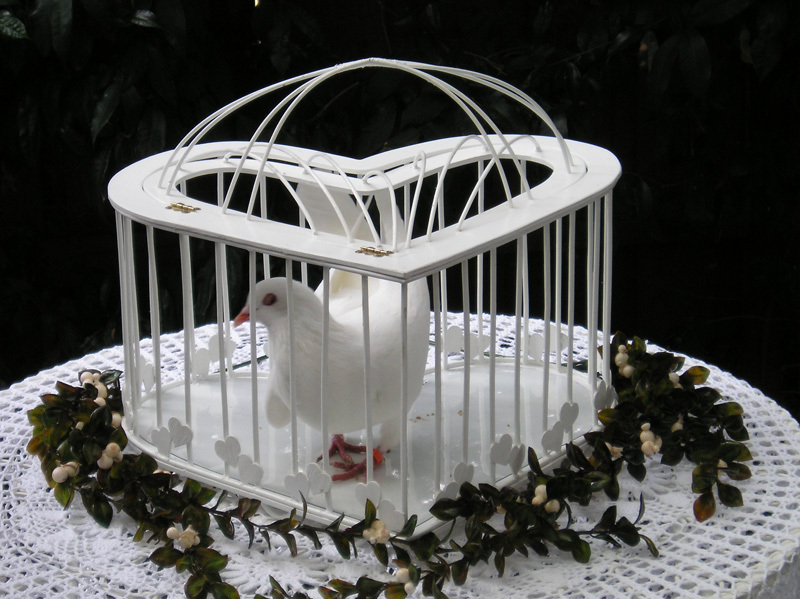 White doves mate for life and as such are a symbol of your eternal commitment to each other. 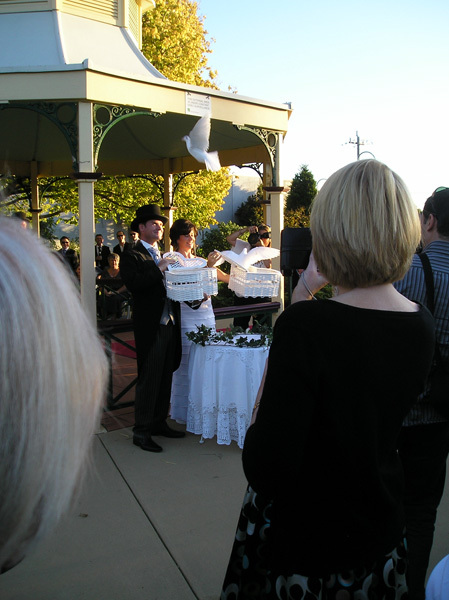 The releasing of the white doves is a blessing to the bride and groom. 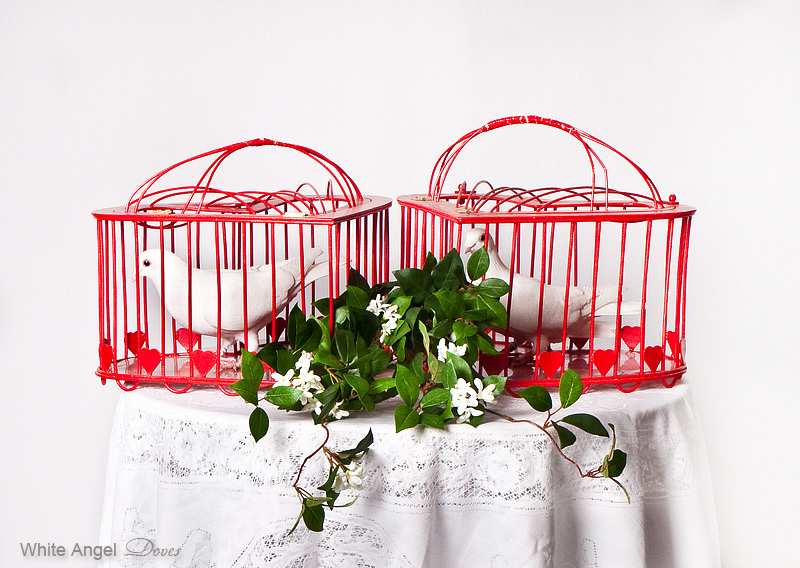 The breathtaking sight of white doves circling above creates feelings of joy and new beginnings. 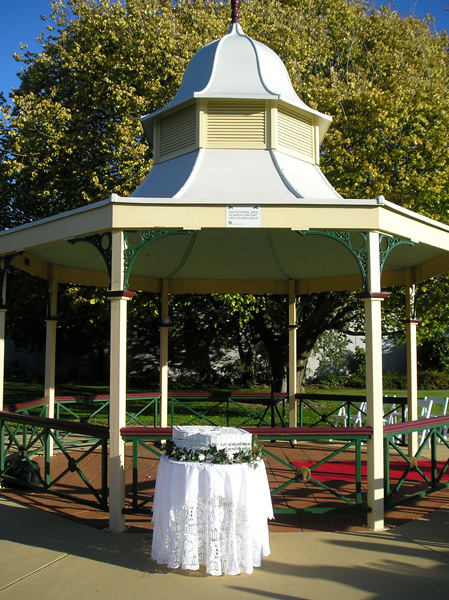 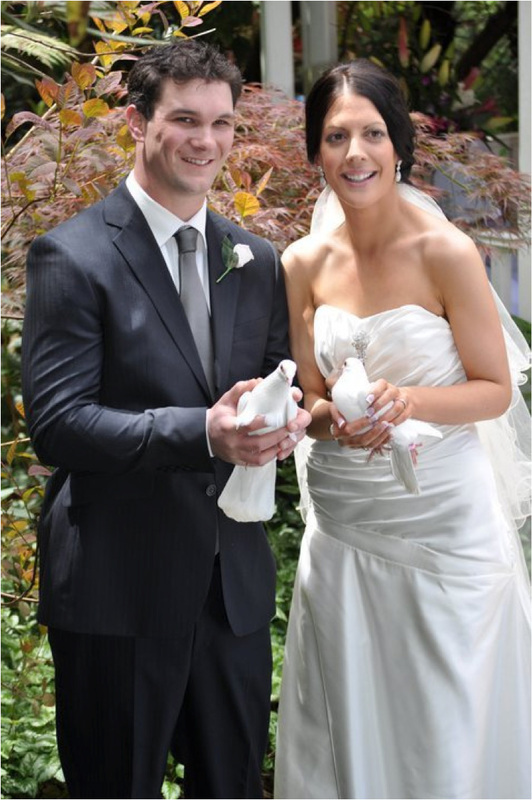 A white dove release can be coordinated with any part of your ceremony, such as on the steps of the church or as part of the vows at an outdoor wedding. 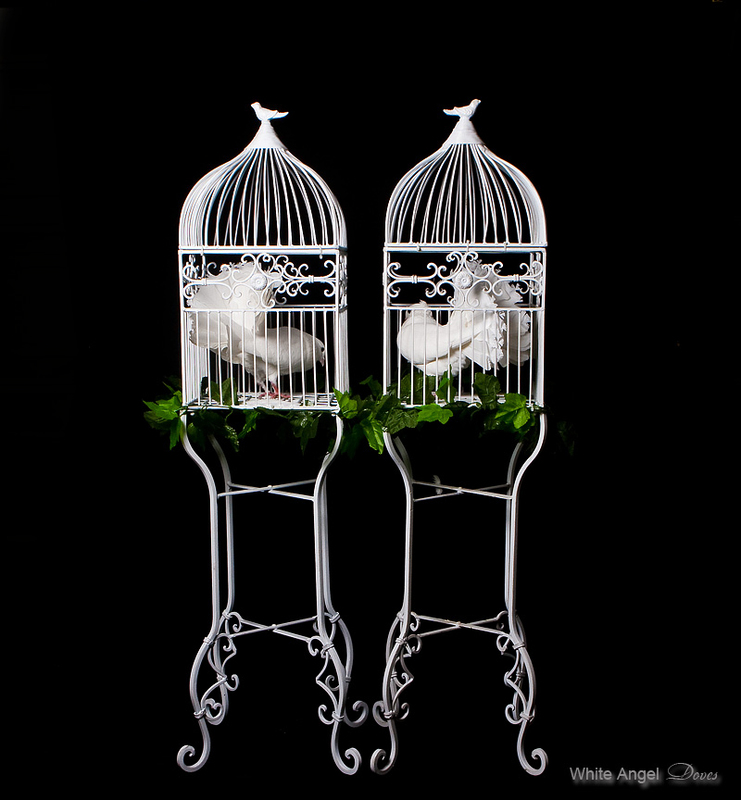 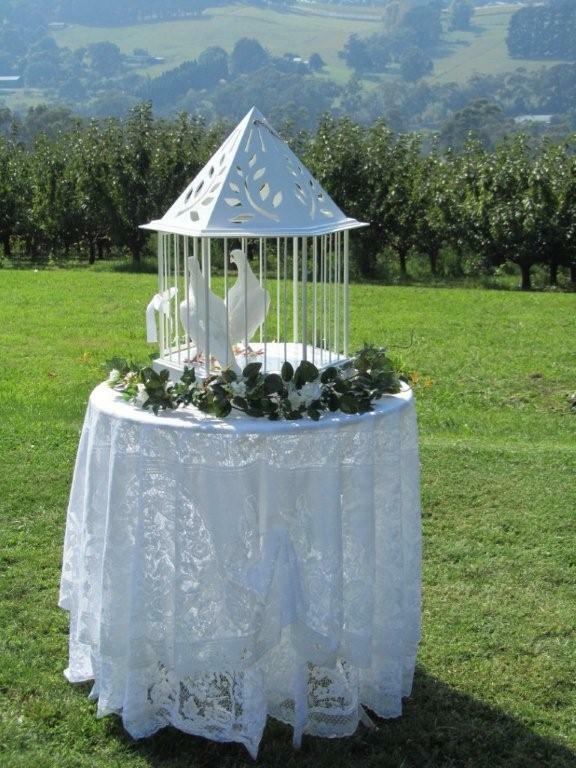 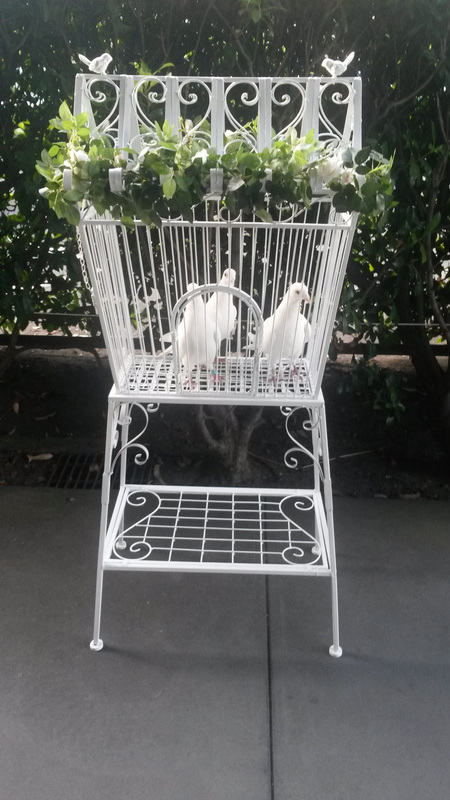 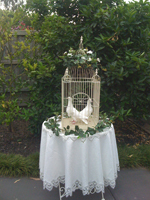 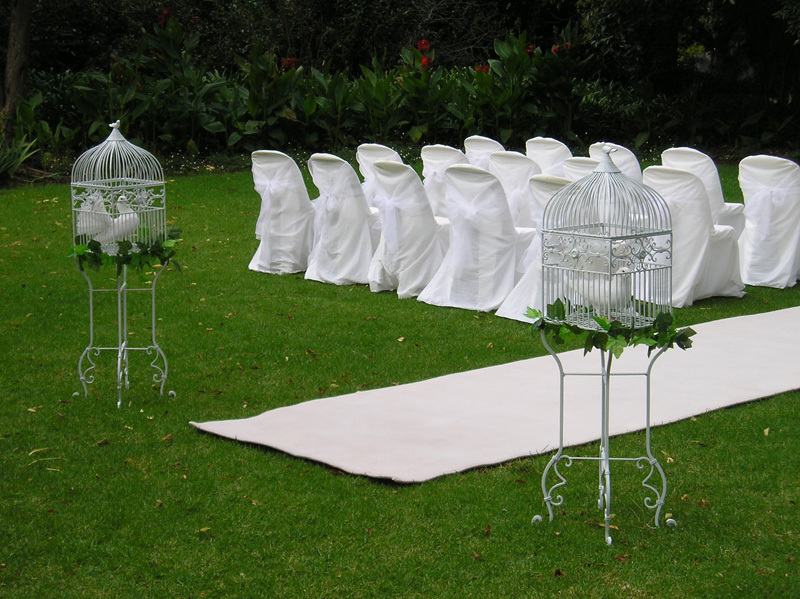 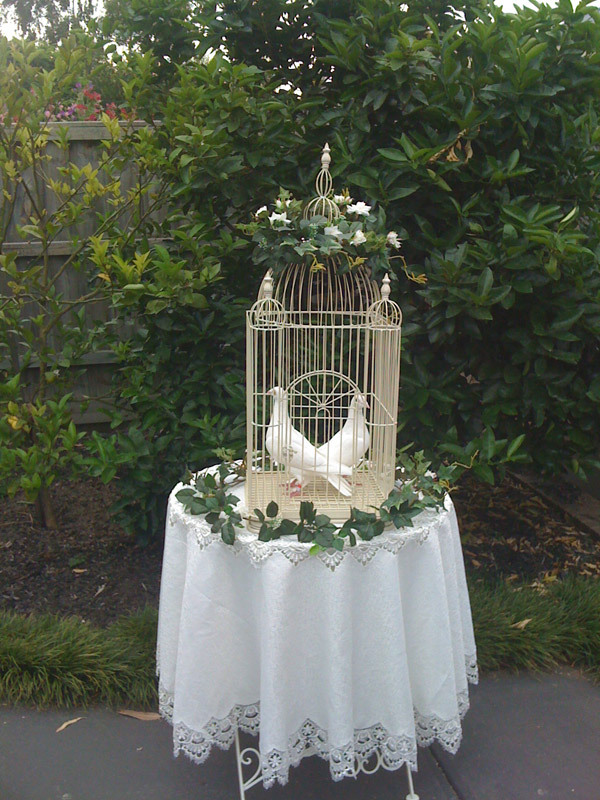 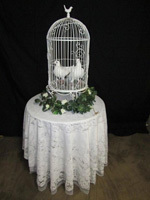 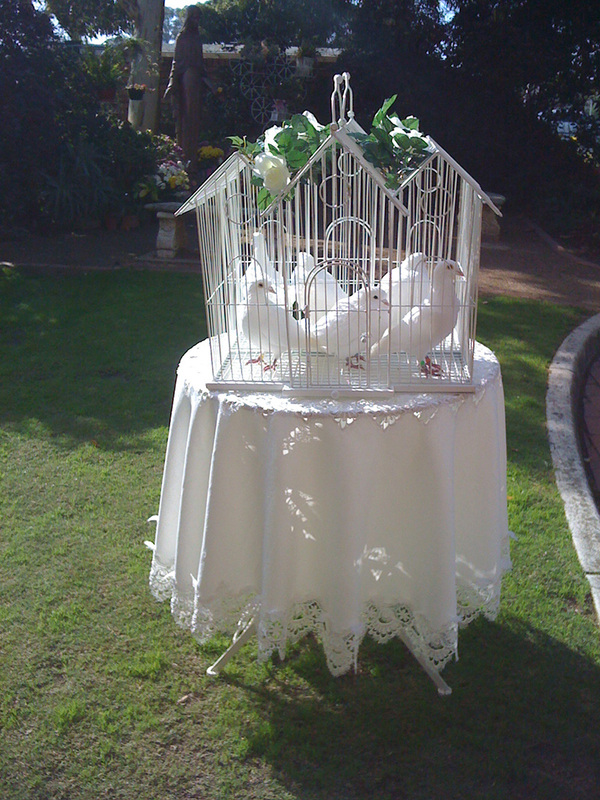 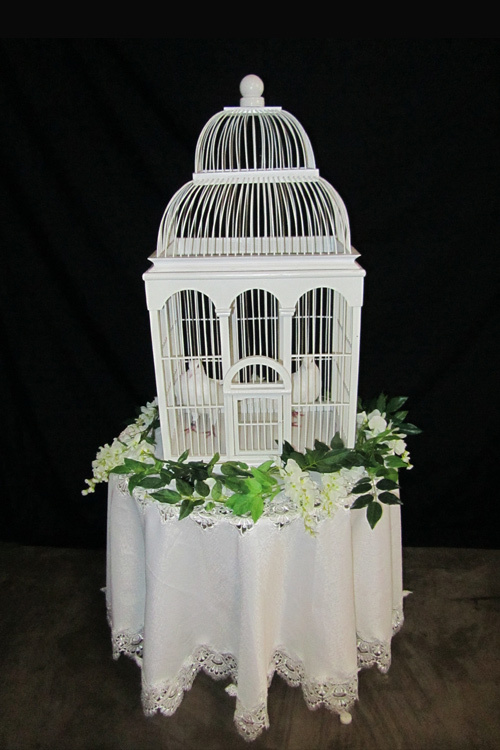 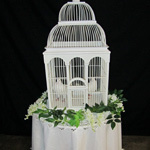 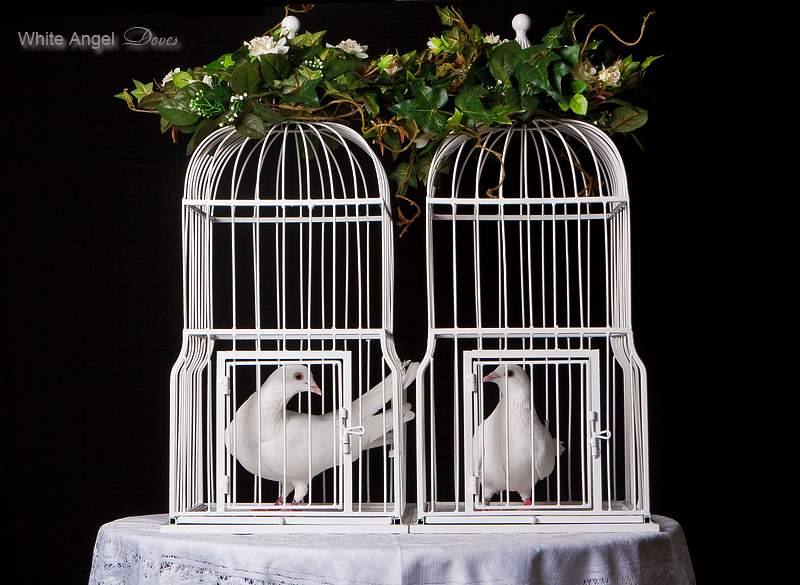 Guests can be greeted by white doves on display in ornamental cages set up on either side of the church doors or you may wish to have a larger cage with more birds on display. 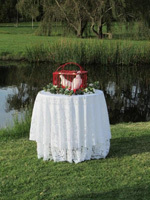 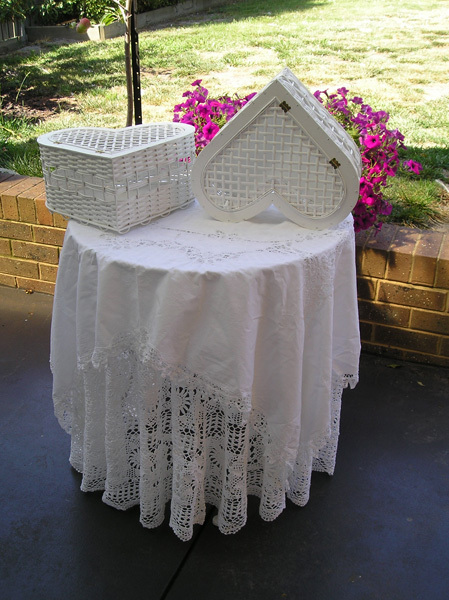 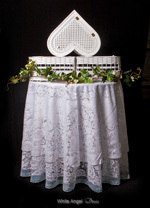 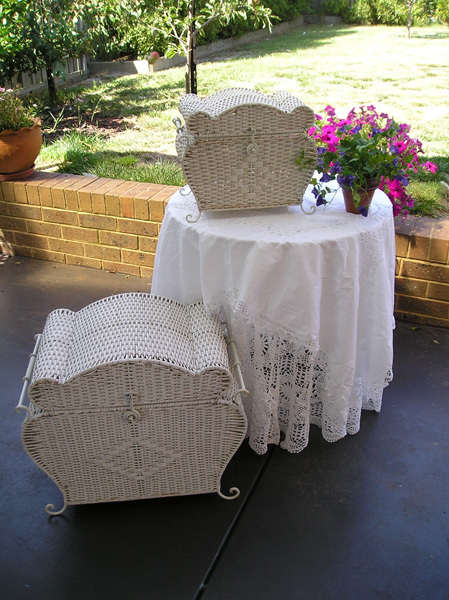 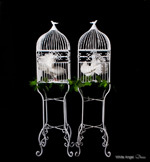 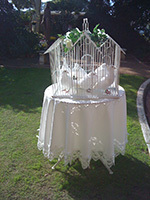 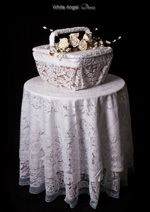 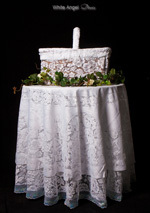 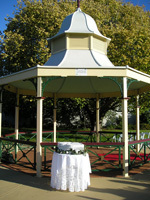 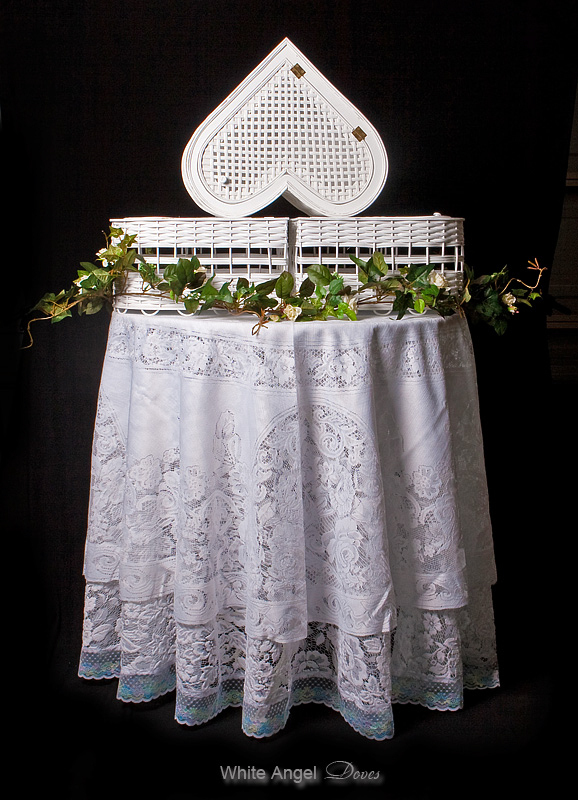 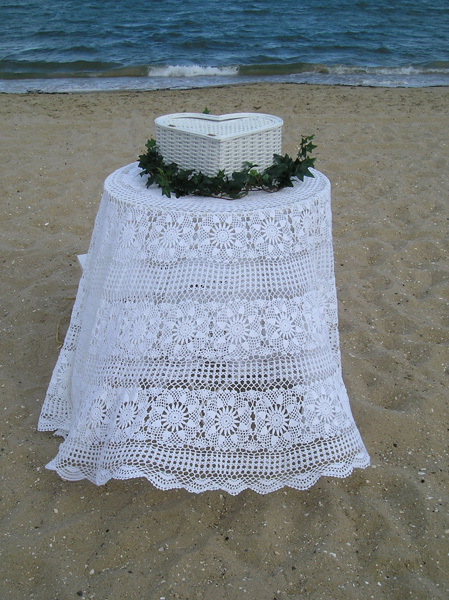 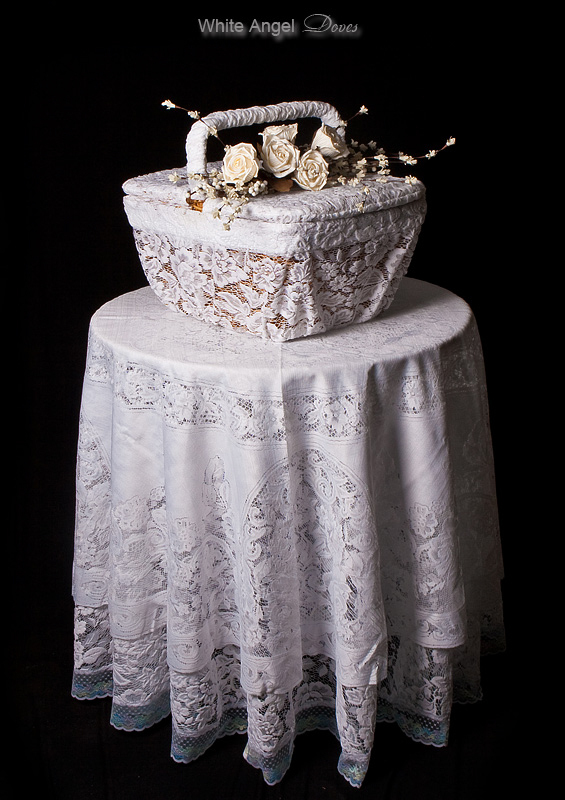 The bride and groom can also release the white doves from beautiful white heart shaped baskets. 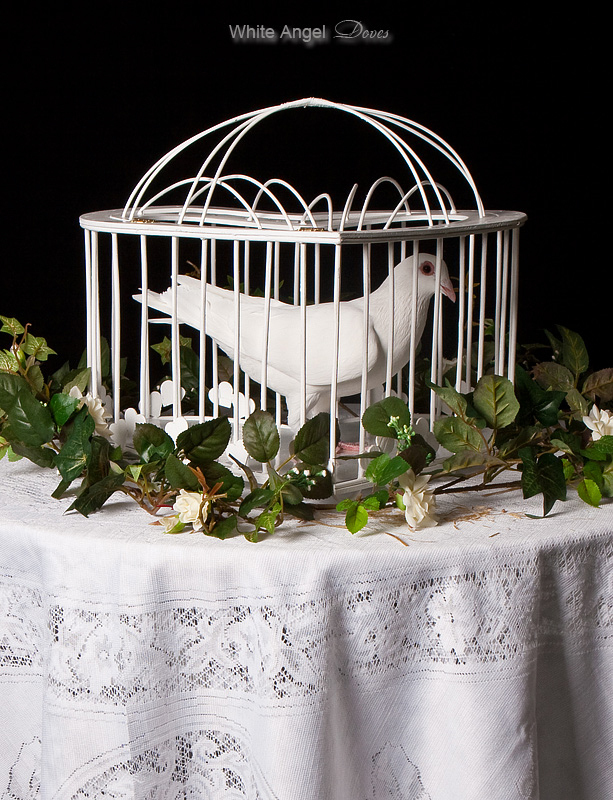 The releasing of a single white dove can also represent a loved member of the family who is no longer with you. 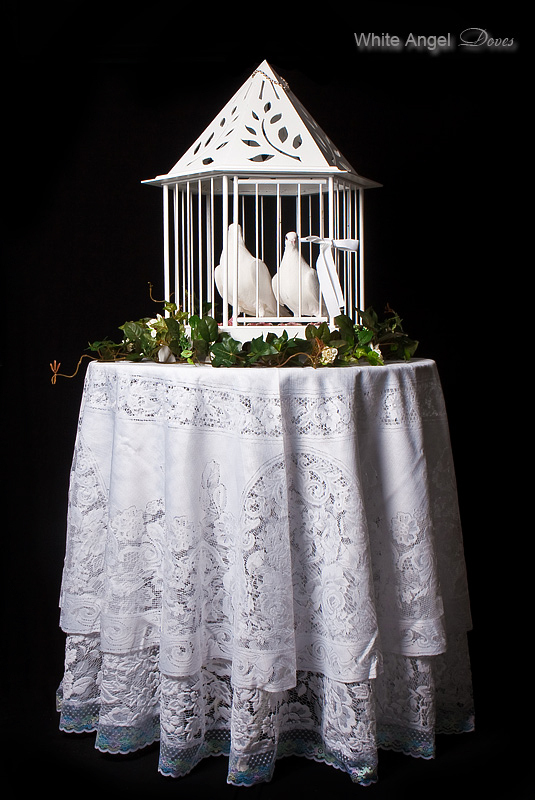 The solitary dove ascending to meet the bridal pair symbolises the presence of the spirit of your loved one. 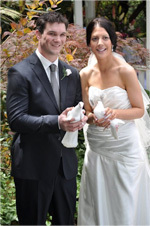 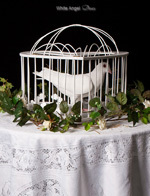 We will coordinate with your photographer so that you will have lasting memories of your white dove release.